Many bomber projects were drawn by British aircraft manufacturing companies in times of potential or actual combat. While names such as Canberra, Vulcan, Victor, TSR2, Harrier and Tornado are known to many as they made it into the skies, the fact that so many other projects from different companies remained on the drawing board provides a rich diversity of ‘might-have-beens’ ripe for coverage. The first edition was published in 2000. This new and updated edition brings even more material to life, in a book with 50% more pages compared to the first edition. The new material includes many previously unpublished illustrations plus up-to-date appendices. 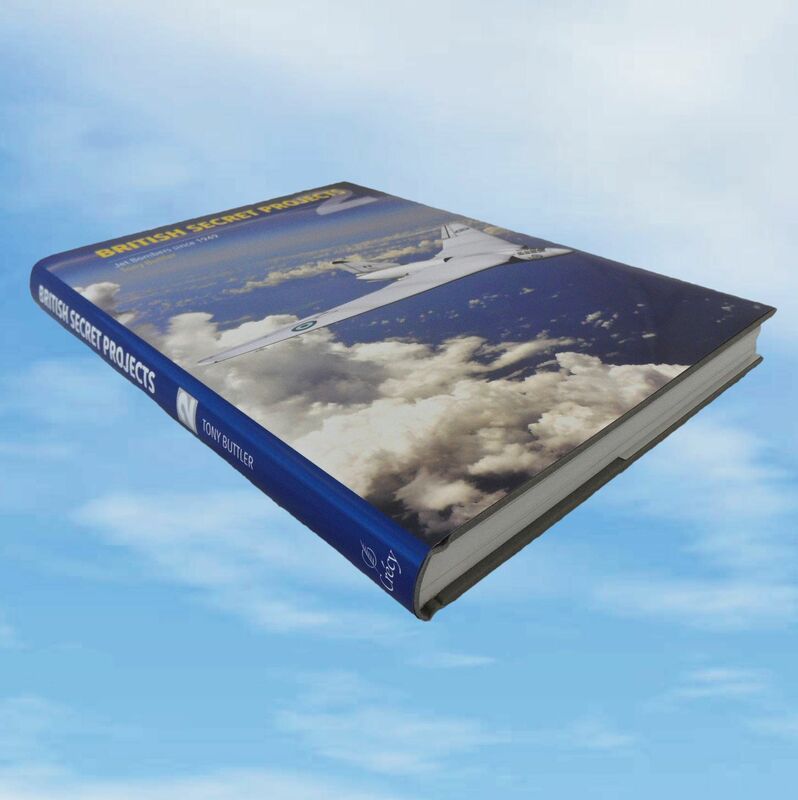 The author has researched extensively with particular emphasis on the design and development work that took place within various tender design competitions. 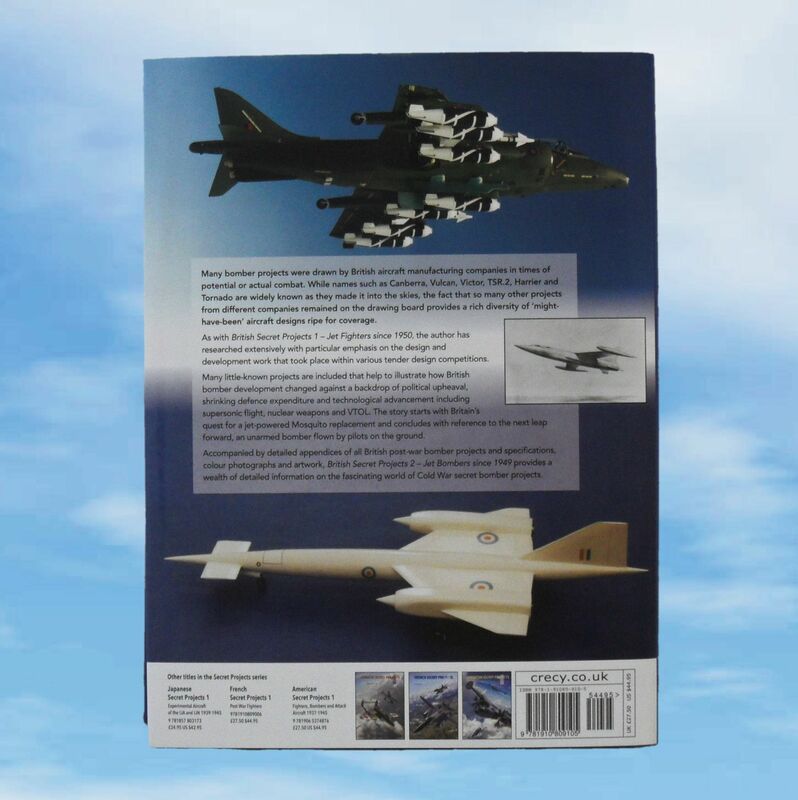 Many little-known projects are included that help to illustrate the way British bomber development changed against a backdrop of political upheaval, shrinking defence expenditure and technological advancement including supersonic flight, nuclear weapons and VTOL (Vertical Take-Off and Landing). The story which starts with Britain’s quest for a jet-powered Mosquito replacement concludes with reference to the next leap forward, an unarmed bomber flown by pilots on the ground. 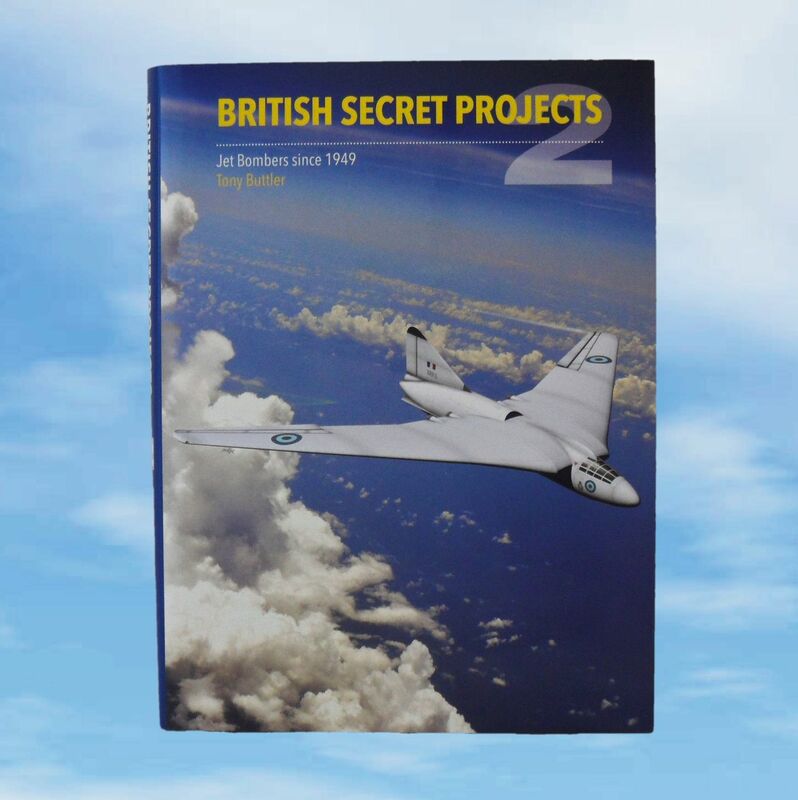 Accompanied by detailed appendices of all British post-war bomber projects and specifications, colour photographs and artwork, British Secret Projects 2 – Jet Bombers since 1949 provides a wealth of detailed information on the fascinating world of Cold War secret bomber projects.